Heart attack and stroke are the major causes of human death and atherosclerotic plaques are the most common effect of cardiovascular disease. Intravascular ultrasound (IVUS), a diagnostic imaging technique, offers a unique view of the morphology of the arterial plaque and displays the morphological and histological properties of a cross-section of the vessel. Limitations of the grayscale IVUS manual plaque assessment have led to the development of quantitative techniques for analysis of characteristics of plaque components. In vivo plaque characterization with the so called Virtual Histology (VH)-IVUS, which is based on the ultrasound RF signal processing, is widely available for atherosclerosis plaque characterization in IVUS images. However, it suffers from a poor longitudinal resolution due to the ECG-gated acquisition. The focus of this PhD work is to provide effective methods for image-based vessel plaque characterization via IVUS image analysis to overcome the limitations of current techniques. The proposed algorithms are also applicable to the large amount of the IVUS image sequences obtained from patients in the past, where there is no access to the corresponding radio frequency(RF) data. Since the proposed method is applicable to all IVUS frames of the heart cycle, therefore it outperforms the longitudinal resolution of the so called VH method. - A. Taki, A. Kermani, M. Ranjbarnavazi, A. Poormodheji, “Overview of Different Medical Imaging Techniques for the Identification of Coronary Atherosclerotic Plaques”, Book Chapter(Chapter 4), Elsevier “Computing and Visualization for Intravascular Imaging and Computer-Assisted Stenting ”, 2017. - A. Taki, A. Roodaki, S. Avansari, A. Bigdelou, A. Katouzian, N. Navab, “New Approaches for plaque component analysis in intravascular ultrasound (IVUS) images,” Book Chapter(Chapter 26), Springer, “Multi-Modality Atherosclerosis Imaging and Diagnosis”, 1st Edition, 2014. - A. Taki, Improvement and automatic classification of IVUS-VH (intravascular ultrasound- Virtual Histology) images. Technical university of Munich2010: 1-162, October 2010, (Ph.D. Thesis). - Z. Rezaei, A. Selamat, A. Taki, M.S.M Rahim, M. R.Ab. Kadir, “"Automatic Plaque Segmentation based on hybrid Fuzzy Clustering and k Nearest Neighborhood using Virtual Histology Intravascular Ultrasound Images" Applied Soft Computing, 2017. - M. Basij, M. Yazdchi, A. Taki, P. Moalem, “An Automatic Approach for Artifacts Detection and Shadow Enhancement in Intra Vascular Ultrasound Images", Signal, Image and Video Processing (SIVP), 2017. - A.Taki, A. Roodaki, S.K. Setarehdan, S. Avansari, G. Unal, N. Navab, “An IVUS Image-based Approach for Improvement of Coronary Plaque Characterization,” Journal of Computers in Medicine and Biology, Volume: 43, Issue: 4, 2013, pages: 268–280. - A. Taki, H. Hetterich, A. Roodaki, S.K. Setarehdan, G. Unal, J.Rieber, N. Navab, A. Koenig , “A New Approach for Improving Coronary Plaque Component Analysis based on Intravascular Ultrasound Images, Journal of Ultrasound in Medicine and Biology., vol. 36, no. 8, pp. 1245-1258, August 2010. - A. Taki, Z. Najafi, A. Roodaki, S.K. Setarehdan, R. Zoroofi, A. Konig, and N. Navab, "Automatic segmentation of calcified plaques and vessel borders in IVUS images", International Journal of Computer Assisted Radiology and Surgery , (2008) 3:347–354, September 2008. - A.Taki, M.D. Abolhassani, "Ultrasound Two Dimensional Array Transducer Modeling in 3D Imaging" Iranian Journal of Medical Physics, Vol.1, No.2, summer 2003. - A. Kermani, A. Ayatollahi, A. Taki, “Coronary Artery Curvature Extraction Using Physic-based Model in Intravascular Ultrasound Image Sequence”, Frames, 23rd National and 1st International Conference in Biomedical Engineering, Tehran Polytechnic, November 2016. - A. Kermani, A. Ayatollahi, A. Taki, “A Novel Hybrid Biomechanical-Texture based Feature for Detection of High-Risk Atherosclerotic Plaques in Sequential Intravascular Ultrasound Frames”, the 11th International Congress on Coronary Artery Disease – from Prevention to intervention (ICCAD 2015),Florence, Italy, December 2015. - S. Ghobadi, A. Taki, M. Esmaeili, New Approach to Simulate Operation Rooms based on Medical Devices used in Surgical Procedures, The Second International Conference on Digital Information Processing, Data Mining, and Wireless Communications (DIPDMWC2015), Dubai, UAE, December 2015. - Z. Rezaei, A. Selamat, A. Taki, M.S.M Rahim, M. R.Ab. 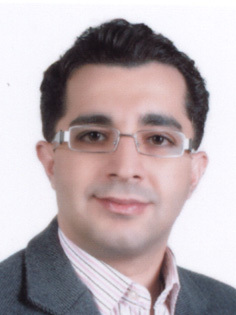 Kadir, “Detection of Vulnerable Plaque in Virtual Histology Intravascular Ultrasound Images Using SVM”, 17th International Conference on Systems Science and Engineering (ICCSE 2015), Tokyo, Japan, May 2015. - Z. Rezaei, A. Selamat, A. Taki, M.S.M. Rahim, M.R.A. Kadir, "Extracting Significant Features from Virtual Histology (VH) to Detect Vulnerable Plaque", International Conference on Intelligent Software Methodologies, Tools and Techniques (SOMET_14), Malaysia, September 2014. - M. Basij, A. Taki, M. Yazdchi, “Automatic Shadow Enhancement in Intravascular Ultrasound (IVUS) Images”, Middle East Conference on Biomedical Engineering (MECBME), Qatar, February 2014. - M. Basij, M. Yazdchi, P. Moalem, A. Taki, “Border Detection of Shadow Regions in Intravascular Ultrasound (IVUS) Images Using Active Contours”, Iranian Journal of Electrical and Computer Engineering, Volume:11, No.2, January 2014. - E. Fathi-Azar, S. K. Setarehdan, A. Taki, “Automatic Shadow Region Detection and Enhancement in IVUS Images“, Proceeding of the 6th Iranian Machine Vision Conference(MVIP), pp. 41-45, 2010. - Invited Speaker at CVII-Stent Workshop in the 18th International Conference on Medical Image Computing and Computer Assisted Intervention Medical Imagining (MICCAI 2015), From Brain Monitoring to Patient Protection, Munich, Germany, October 2015. - Keynote Speaker at the International Conference on Computer, Electronics, and Biomedical Engineering (ICCEBE2015), Advance Brain Monitoring, Dubai, October 2015. 2006-2010 Ph.D. (Dr.rer.nat) at the CAMPAR team Technical University of Munich , with Prof. Dr. Nassir NAVAB. 2000-2003 Master of Science Degree in Biomedical Engineering (Bio-Electric) Faculty of Biomedical Engineering of Tehran University of Medical Sciences , Iran. 1996-2000 Bachelor of Science Degree in Biomedical Engineering from the Faculty of Biomedical Engineering of Amirkbir University (Tehran Polytechnic), Iran.